I Am Worthy. 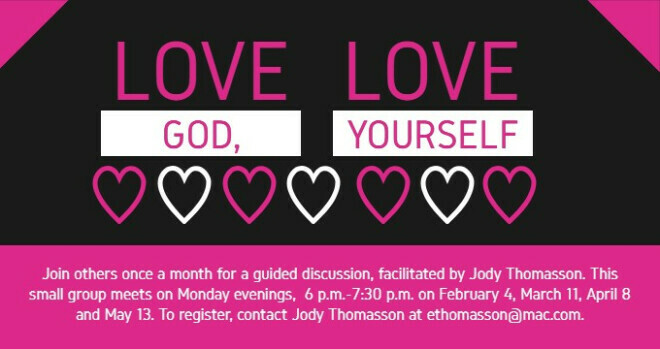 During this session participants will explore what it means to be individuals cherished by God. Loving One Another. The group will explore what encouragement and support look like and address gossip and judgement. Honoring Our Gifts. During this session participants will consider how we are all necessary parts of the whole. Celebrating Life. The group will look at the celebration of life as our obligation. Participants must sign up by contacting Jody at . Hand-outs, including Scripture references and articles, will be provided prior to each session so participants can read and reflect ahead of time. The group is open to all adults. Meetings are scheduled on Monday evenings 6:00 - 7:30 p.m. on February 4, March 11, April 8, and May 13.